At some point in our mortal lives, we will all have to deal with death, loss, and grief. But no matter how natural or inevitable death is, it still remains to be a difficult topic to discuss, even and especially with our innermost circles. Subsequently, the issues of post-life care and memorial services are usually the last thing on our minds, too – not only because it is taboo, but also because of the notion that it requires a lot of work and money. This should not always be the case, however, because we all must have a choice in how we’d like to commemorate the life of our dearly departed and the cherished memories they leave behind. Especially at this most difficult hour of our lives, we could do without the hassle and burden of preparing for a funeral. Yet, we would like our departed loved ones to have a peaceful resting place, too. This explains why more and more people all over the world are opting for more innovative and convenient ways in burying their dead as they veer away from the traditional and more costly land burial. Here in the Philippines, Eternal Bright Sanctuary, Inc. (EBSI) is constructing Aeternitas Chapels and Columbarium, a new, world-class memorial facility on Commonwealth Avenue in Quezon City. 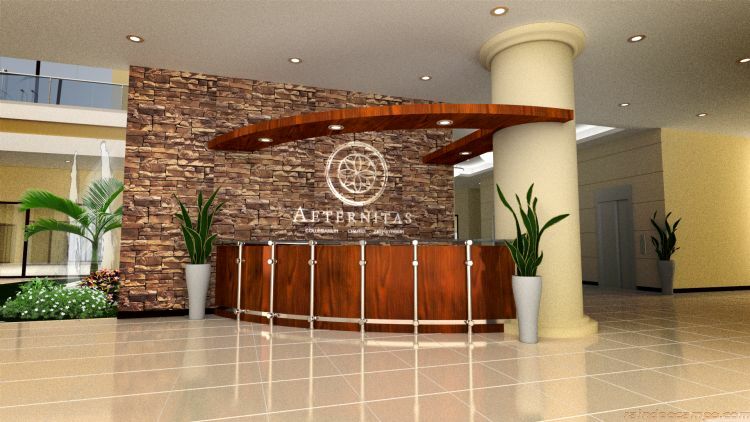 Priding itself as the gold standard in the death care industry in the country, the soon-to-rise Aeternitas will offer over 45,000 spacious and beautifully designed niches that can house as many as four regular-sized urns per columbarium vault. Designed by the current Philippine Regulatory Commissioner, Architect Yolanda Reyes, the nine-storey Aeternitas will have 15 premier memorial chapels and 2 grand memorial chapels. Aeternitas will be strategically located beside St. Peter’s Shrine of Leaders, a parish church, and the proposed Don Antonio and Batasan Stations of the MRT-7, making it readily accessible for future visitors from all over the metro. For the comfort and convenience of its clients and guests, Aeternitas will have 6 fully functional passenger elevators, centralized air-conditioning system, up to 200 parking slots, a cozy and comfortable family room, round-the-clock security, and efficient emergency services. As a “sanctuary of loving memories,” Aeternitas will exude a serene and peaceful ambiance that is in harmony with nature. 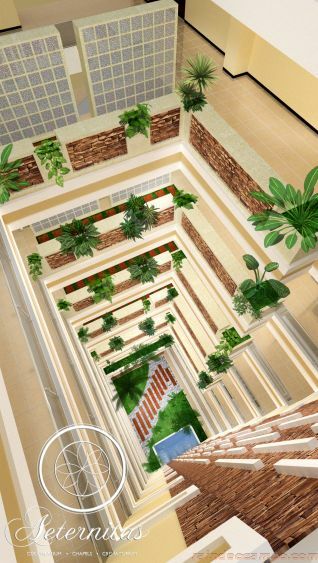 It will have a modern lobby, pretty pocket gardens, a coffee shop, restaurant, and flower shop, greeneries all over the place, and a glass central ceiling that will allow natural illumination from the sun. Honor the life and memories of your departed loved ones the modern and convenient way with Aeternitas’ full-service memorial care. For more information, contact Aeternitas at 625-0955 or 09171157793; or email them at info@aeternitaschapels.com.